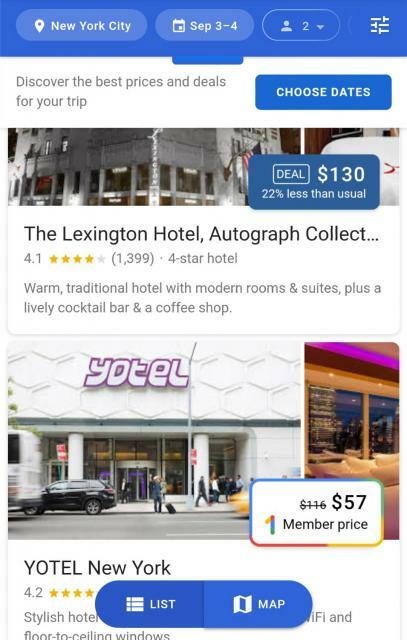 Google Member Prices In Hotel Results From Google One? Home > Google News > Google AdWords > Google Member Prices In Hotel Listings From Google One? 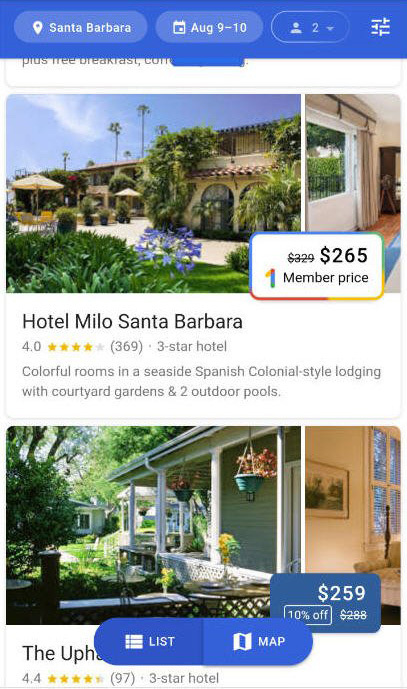 Google Member Prices In Hotel Listings From Google One? A number of people over the past few days have been noticing "Member Price" with the new Google One logo next to it. It is unclear how any of this works but it seems those that enroll in Google One are getting discounts in Google's hotel search results. It is not clear how hotels sign up for this or how searchers get this but you can learn more about Google One here, which talks about discounts on Google Drive and other services.